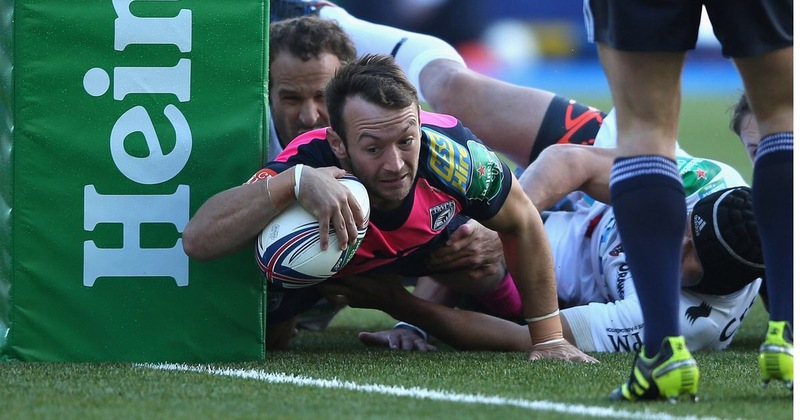 After assessing the forwards it’s time to move onto the backs, but if you’ve missed the series so far then have a look at the front row (https://cardiffbluesblog.wordpress.com/category/team-report/front-row/), second row (https://cardiffbluesblog.wordpress.com/category/team-report/lock/), and back row (https://cardiffbluesblog.wordpress.com/category/back-row/). So the forwards was a mixed bag, strong in places, considerably worse in others. However, it’s a good start behind the scrum as we start at number nine, and the link between forwards and backs. The 2015/16 season will actually be a very interesting one when it comes to scrum half as, as far as I’m concerned, we have at least two, and possibly three, players capable of holding down the starting position. Lloyd Williams was arguably the standout performer last season, although Tavis Knoyle finished strongly after a slow start, meanwhile Lewis Jones stepped in comfortably when need be. Starting with Lloyd Williams, as probably our best scrum half last season, he had his best ever season in terms of try scoring with 11 and made 24 appearances in all competitions. A bit of credit can go to Mark Hammett in terms of improving Lloyd’s quick ball abilities at the breakdown, and also his sniping around the sides of the ruck. Certainly the quick ball put us on a good platform to attack off on a number of occasions, however unfortunately Williams was let down by the outside backs. In international terms, the former Cowbridge Comprehensive student was identified as talented early on, following in father Brynmor’s footsteps, playing for each Welsh team from U16 to U20, before joining the senior squad in time to make three substitute appearances at the 2011 RWC. After being a key part of Warren Gatland’s 2012 and 2013 Six Nations Squads, he last appeared for the national side in the 2013 November series. However, after this season’s exploits, Williams was called up to Warren Gatland’s RWC training squad, a deserved reward for a top season. Realistically he is up against Gareth Davies of the Scarlets for that third scrum half spot, and of course part of me hopes he gets it, but a selfish part also hopes he can be available for the start of our Pro12 season. Even if Lloyd does stay with the Wales squad though, it won’t be the end of the World. With Tavis Knoyle challenging for that number nine shirt, there’s certainly quality to be found in the replacements. After returning to Wales last summer from Gloucester, Knoyle had a pretty slow start to the season, not really getting any serious game time, LV Cup aside, until the back-to-back Dragons games over Christmas. Even then his season didn’t exactly take off, only featuring off the bench, with the exception of an appearance at centre back in Newport during the Challenge Cup quarter-final. Having said that, that’s more to do with Lloyd Williams’ fine season, I was actually very impressed with Knoyle coming off the bench, and quite often he was the catalyst in our often infuriating ability to only play well in the last 10-15 minutes of games. Tavis, like Lloyd, turned out for each Wales age-grade team from U16 to U20, and has broken into the senior side, also playing at the RWC 2011. However, unlike Williams, Knoyle is still in the middle of a break from the national team, last playing in June 2013, therefore hopefully he can follow Lloyd’s lead and a good season coming will put him back on Gatland’s radar. Behind Williams and Knoyle, but by no means relegated to a third choice scrum half, is Lewis Jones. The beauty of having these three players competing is that there isn’t a set order to them. Yes, I would say this is how I would rate them after last season, but each has the ability to be the first choice number nine on their day, and Jones certainly does. He has the quick ball trait, probably providing the best ball of the three, he just needs to work on his all round game, as scrum half is more than just linking the forwards and the backs, it’s about looking for chances around the fringes, becoming part of set piece plays and also put in a defensive shift, sweeping behind the defensive line. However, the problem Jones has is that he has never really had the chance to improve on these skills regularly. Take last season for instance, he appeared in 13 games leading up to Christmas, before only turning out only four times after the New Year. Having said that, despite a somewhat indifferent start to his Cardiff career, being released from the Academy before re-signing a year later, Jones has already made 76 appearances in blue and at only 22 I hope he will build on his ever reliable start and become an Arms Park stalwart. As well as the three senior scrum halves, the trend of having promising youngsters coming through continues into the backs, and hopefully they will both benefit from the new A teams going into the British and Irish Cup. First up is Tomos Williams, the Treorchy product having a very successful season in the white and black of Pontypridd, winning the Premiership and the award for best newcomer to the league, in the red of Wales, missing only one game across the U20 Six Nations and Junior World Championship, while also making three substitute appearances for the Blues in the LV Cup. Named as one of the 14 rising stars of the We;sh Premiership by WalesOnline, he is described as ‘having snappy distribution’, meaning he can hopefully slot into the Cardiff back line easily in the near future. Also in the 14 rising stars list is Michael Hale. 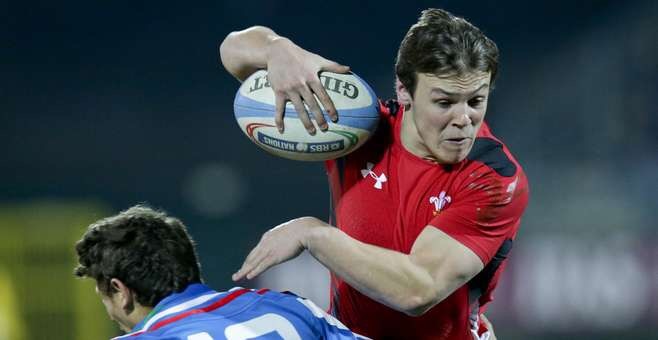 At just 19 he broke into the Cardiff RFC team in the second half of last season, playing 14 times between December and April. Hopefully he can have as successful first full season in the Premiership as Williams has had, and some exposure at A team level will certainly aid his development. Maybe one day he can actually get some information added to his profile on the Blues website! Conclusion: A good battle is in store for the scrum half position, and we hopefully are set for a few years with the three senior players still young and Tomos Williams coming through the ranks. Now, forget who’s going to start at scrum half for a second, because the biggest battle of the season for a place in the starting line-up is coming up. 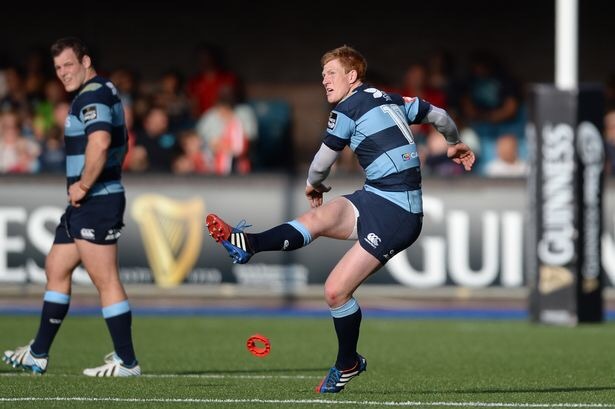 Rhys Patchell v Gareth Anscombe: The Battle of the Standoffs, coming to a plastic pitch in Cardiff soon. 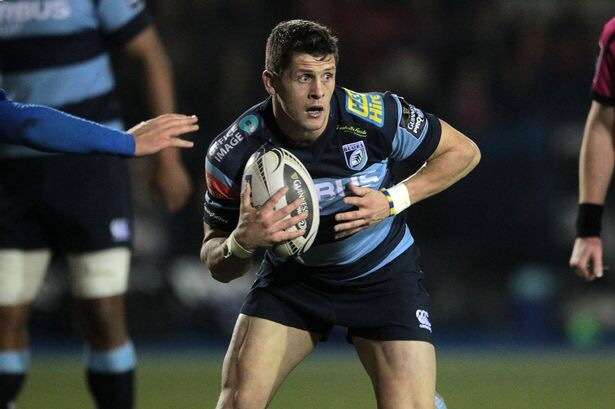 In all seriousness, it is a really interesting dilemma facing new coach Danny Wilson, how do you fit two fly-halves battling for the Wales number ten Jersey at the World Cup into a club side in desperate need of both their skill sets? 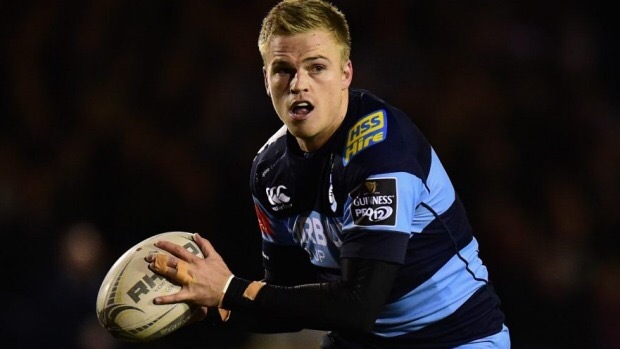 Well let’s have a look at them, starting with last summer’s marquee signing, Gareth Anscombe. Arriving after some Mark Hammett and Warren Gatland negotiating, with his mother’s Welsh birth certificate in hand, Anscombe made his first appearance against Edinburgh in November, but endured a difficult introduction to Northern Hemisphere rugby with three charge downs in the subsequent three weeks resulting in tries for Treviso and two for London Irish. Despite this there were also encouraging signs with ball in hand, his willingness to take flat ball and ability to spot a line break real bonuses, as we saw on New Year’s Day against Newport when he almost single-handedly cut them apart in the second half. With these glimpses of quality a Six Nations squad call came, shortly followed by a National Dual Contract, meaning that although his appearances will be restricted next season, Chicken, as he’s affectionately known, will have a big part to play in our season. Pushing him all the way will be the local boy though, Rhys Patchell. After coming through the academy system and passing through the Cardiff RFC ranks, the Glantaf product has matured very quickly in a blue shirt. Despite only turning 22 at the end of last season, Patchell has already played over 50 times and scored nearly 400 points, resulting in him being fourth on the Pro12 points scorer list for 2014-15. Unlike Anscombe, Rhys has no problem with putting boot on ball, after coming into a Cardiff side coached by Phil ‘kick it away’ Davies, while also having a quite incredible range off the kicking tee. However, lack of time spent with ball in hand means his decision making in the offensive line is sometimes questionable, although his change of pace is a top weapon to keep in the armoury. If you’re looking for an outcome then I believe everyone you ask will have a different idea on who should start where. As for me, I’d have them both at fly-half. You might ask ‘how?’, but I think there’s a simple solution. When both Anscombe and Patchell are available, you send one out wearing 10, one out wearing 15, and tell them to mix and match. Both are more than capable of playing in each position, and last season, on a few occasions, this partnership worked well. Given a chance to flourish it could really work in our favour, and also help to fill the gaps at full-back, which will be explored in a blog to come. Behind Patchell and Anscombe, there’s a bit of a fight for the role of backup between the young and the experienced. 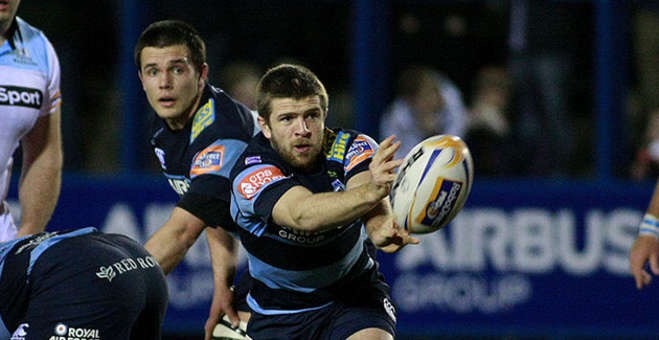 Starting with Gareth Davies, who I definitely am not calling old, despite being 32, he hasn’t been around the Arms Park that long after joining Cardiff RFC in 2007, going on to make 92 appearances before signing for the Blues in 2010. Since then he’s appeared 72 times, albeit 40 of those from the bench, the most memorable being when he came on to score a late winning try against Toulon in 2013. There’s no doubting Davies’ experience and game management skills, but unfortunately he’s not going to set a game alight often enough to make a decent claim for a starting place. Onto the young, and it’s looking good it’s fair to say. In Jarrod Evans we have a young stand-off who has helped Pontypridd to league and cup titles, as well as being a regular feature in the Wales U20 side this year. He could’ve had academy colleague James Whittingham alongside him at international level, were it not for a concussion injury. However, the versatile youngster can look forward to a full season with the Blue and Blacks as he continues to develop, and also teaming up with Evans in the new A side as they both step towards the first team. It would be good to see at least Jarrod Evans being given a proper chance at some point this season. Conclusion: Two very strong candidates for the starting spot, and plenty of versatility also in the fly half ranks. Important to keep the conveyor belt of talent rolling. It was good to see Lloyd Williams find a bit of form last season after a lean period. He has the attributes to be a top 9 (pace, decent distribution, good kick etc) but I always get the feeling he needs to impress himself on the game a bit more. By this I mean take on more responsibility, trust his pace and attack more and generally be more vocal and assertive on the pitch. The best 9s tend to have a bit of cocky arrogance about them and I’d like to see Williams show a few more of these attributes. 10 is going to be an interesting position to watch. I would prefer to see Patchell at 10 and Anscombe at 15 but with Welsh calls ups it may be that only one of the pair is available for large chunks of the season anyway? I think Lloyd does have those attributes, he just doesn’t always show them. If he stops going missing for periods of games he will be a top scrum half. Personally prefer Anscombe 10 and Patchell 15 but like I said, nobody seems to have the same opinion. Agree with only one being available though, especially after Wales v Ireland on Saturday I don’t think we’ll see much of Anscombe, whereas Patchell still has a few years before he’s a permanent feature in the Wales team. It would have been nice to have seen Anscombe start at 10 in the Ireland game and Patchell given the 25/30 minutes run out later on. There was little to gain from Hook starting that game in my opinion. Fingers crossed that Lloyd takes that step up because the Welsh 9 shirt is up for grabs. Think Lloyd has a chance now, Mike Phillips time is over as far as I’m concerned.